Over the years I have written about several kitchen gadgets to make life easier for individuals with (or without) disabilities. While browsing social media recently, I came across another cool gadget and it had me wanting to do another post on this topic! If you’re looking for products to help you or a loved one eat more independently then keep on reading to learn more. The S’up Spoon is an eating utensil that allows users to securely scoop larger quantities of food. “Unlike a regular spoon, which normally requires your upper lip / teeth to pull content off, this requires you to tip food into your mouth.” To use this spoon, simply fill it from a bowl (or scoop plate) and tip the contents into the handle for transferring from the bowl to mouth. Looking for a device to help you move your utensil from your plate to your mouth? The Stable Slide Self-Feeding Support supports your forearm as you gather food onto your utensil. Then, with a simple sliding motion, moves the wrist into the smaller top section of the device. 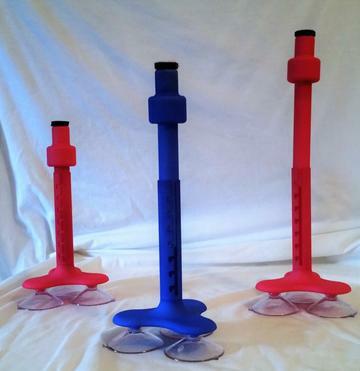 This provides support and stability while bringing food to your mouth. Individuals with ALS, Arthrogryposis, Cerebral Palsy and more tend to have limited hand and arm movement. The Bear Paw is a low-tech piece of assistive technology that gives these individuals the ability to feed themselves independently. 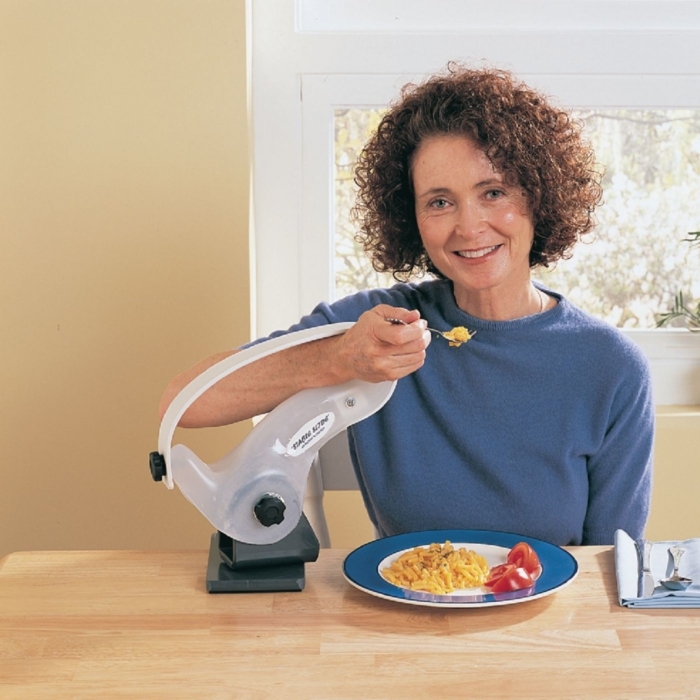 In sum, “it is a mounted magnet on a pivoting support, designed to hold a loaded metal spoon that a user places with his or her own mouth (or hand) and spins for eating.” Click here to see how the device works! The Mealtime Partner is the most expensive item on the list, but has a lot of neat features. It is a robotic spoon and bowl system that allows users to select between three different dishes. 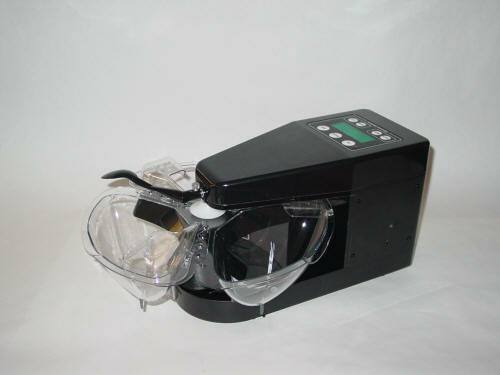 It can be operated via switch or may be pre-programmed to operate entirely hands-free. Click here to see this device in action.